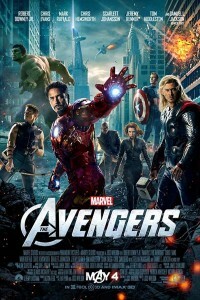 The Avengers - Poster Art. After banging out so many superhero movies, you know that sooner or later, Marvel’s going to get their formula right. And true enough, they’ve got it spot on with The Avengers, which I had the opportunity to catch when the team was invited to the grand re-opening of the newly renovated and refurbished GV Jurong Point on Tuesday. It’s an amazing piece of work that’s set to give you a total geekgasm – there’s a grab bag of heroes, dynamic action sequences that look like they popped right out of a comic book, stunning visual effects, and witty banter (yes, witty banter). Director Joss Whedon (of Buffy fame) is certainly no stranger to the world of comic books (with his writing credits in the Astonishing X-Men, Runaways, and a whole bunch of Eisner nominations), and his style works wonders for something that might have been incredibly hard to pull off – it’s already difficult enough to deal with one larger-than-life character. When you have six (and one diva of a villain), that’s when things get a little tricky. Needless to say, Whedon’s script rises to the occasion, framing the Earth as a world on the verge of destruction by a race of shadowy, techno-organic aliens. Said aliens are hovering just out of reach, and the very smarmy Loki (Tom Hiddleston) has cut a deal to be their herald. Loki emerges in a S.H.I.E.L.D facility, “burdened with glorious purpose”, proceeds to happily massacre or brainwash the people around him, steals the proverbial macguffin, and kickstarts what’s arguably the most entertaining cinematic romp I’ve had the pleasure of watching in the past half-year. One of the things that really stood out was the dialogue. It was superbly written and mostly intelligent (I was kinda imagining them in little speech balloons like in a comic book), and the story, which culminates in the near total destruction of midtown Manhattan by inter-dimensional invaders was just plain win. Sure, there might be a few familiar scenes (some elements of the opening are strangely reminiscent of Buffy’s Season 7 finale), but Whedon’s a genius when it comes to creating spectacle and you’ve just gotta give it to him. Similarly, the all-star cast was pretty good at their game. Robert Downey Jr. was remarkable as Iron Man as usual, while Mark Ruffalo, as Dr. Bruce Banner, held his own with a convincing performance as the troubled geneticist with anger management issues. Samuel L. Jackson was great as Nick Fury (as usual, since he’s Samuel Mother F*ckin’ L. Jackson), though I felt the others could have used a little more intensity. Jeremy Renner’s Hawkeye didn’t leave much of an impression though (and he didn’t shoot any aliens in the knee either), and Scarlett Johanssen’s Black Widow… well, I just gotta say I’ve seen better femme fatales elsewhere. I was also impressed by Clark Gregg’s Agent Coulson. Coulson’s a character that grows on you, and if you’ve been following his antics in the past few Marvel flicks, then I can bet you that he’s going to grow on you even more by the end of The Avengers. The sound effects were great thanks to the cinema’s new Dolby 7.1 sound system and EAW speakers, and the plush seats made the experience really, really comfortable. There was also ample leg-room and the way the stadium-style seats were tiered meant I didn’t have to worry about “floating heads” getting in the way of the action. We also got wind that GV Jurong Point was holding a buncha promotions to commemorate their re-opening, so if you do wanna watch The Avengers, and get your hands on some freebies at the same time, do check it out. That’s not half bad, if you think about it. In any case, go see The Avengers movie. It’s definitely worth your while and then some.